I am trying to look for hints in the text of Genesis regarding Noah's account. There has been plenty of debate on whether the flood described is local or global. The usual line of thought is that the Hebrew word for 'land' can mean country or some localized area. I would like to understand if the rest of the wording in Hebrew even allow the option of a regional flood. The English translation I am reading (NET) sounds like a global phenomenon only. Since our goal is to understand what the author of the text meant by what he wrote, it is more helpful to look at how the event is described by the author, in the text than to get hung up on semantic possibilities, ANE discoveries, or personal beliefs. 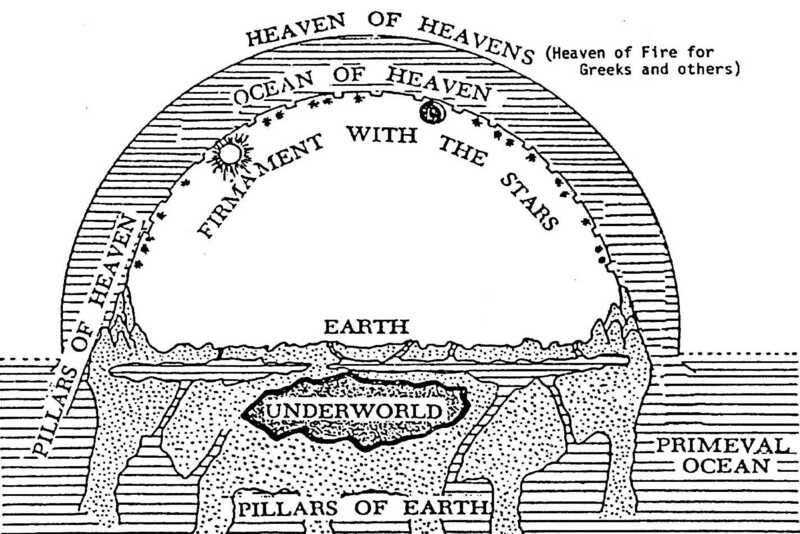 Clearly the author was trying to emphasize that the entire earth under the whole heaven was covered. This was not meant to be understood merely as a flooded valley or heavy rain. I must take issue with the idea that "The author clearly meant it to be understood as a global event." This is not even a possibility! The Hebrew author, whomever one wants to say he was, was not aware of a "global" world. This was not even a possible perspective for a person living in the world of that day. There was no knowledge of a "global world" at that time. This can be determined by even the most cursory review of the language of Genesis. It is only the English translations that give the idea of a "global" or planetary earth. Cosmologies of that time spoke of a flat earth and an actual physical firmament or dome of the sky in which the sun, moon and stars were placed. You might say that God of course knew these things, but those to whom He was speaking were oblivious to the scientific realities we now take for granted. The Biblical writers would have spoken according to their own understanding, which did not include knowledge of the earth as a globe or planet. There were no telescopes with which to study the heavens. Astronomy did not yet exist. If the flood was global, then this verse would be a lie! According to this verse, the original global seas were to be restricted - never to cover the entire earth again. The Hebrew word translated as "earth" in Genesis is "Erets" which can mean not only "earth," but "Land", "ground", "country" or "soil" and can even refer to people. "Kol erets," translated as "whole earth," is very often a reference to the people of the land and not to any geographical location, so when the text says the whole earth perished or was destroyed, it is only referring to the land area where the people lived, along with its animal life. The sentence of death was for the wicked people, and the ensuing destruction was limited to the land they inhabited, not the whole planet and all of its life. Also, there is a Hebrew word that always refers to the entire earth or the entire inhabited earth. The word is tebel (Strong's H8398), which is found 37 times in the Old Testament. Curiously, this word is never used to describe the flood, although it is used extensively to describe the creation of the earth and the judgment of the peoples of the earth. There is actually a ton of evidence to support a local flood in the Mesopotamian area and very little evidence to support a global flood. As believer that scripture is God-breathed and unerring, I would be fully satisfied that the flood was indeed global. However, for those who have not yet gained that understanding and confidence in the word of God, he provides physical evidence that archeology continually unearths. The flood of Noah is one of the greatest events of Genesis 1–11, and, like young earth creationism, is the source of considerable scorn regarding the reliability of the Bible. But as with the question of the age of the earth, the controversy here is unnecessary if one reads and interprets the passage carefully. The fundamental question is whether the Noachian flood was global or local. In Genesis 41:56, we are told, “The famine was spread over all the face of the earth” (NASB). We normally interpret this famine as devastating the lands of the ancient Near East around Egypt and do not assume that American Indians and Australian aborigines came to buy grain from Joseph. First Kings 10:24 states that “the whole world sought audience with Solomon to hear the wisdom God had put in his heart.” Surely Inca Indians from South America or Maoris from New Zealand had not heard of Solomon and sought his audience. The Hebrew word erets used in Genesis 7:19 is usually translated “earth” or “world” but does not generally refer to the entire planet. Depending on the context, it is often translated “country” or “land” to make this clear. References to the entire planet are found in Genesis 1:1; 2:1; and 14:22, for example. However, more typical references might be Genesis 1:10; 2:11; or 2:13, where erets is translated “land.” In Genesis 12:1, Abram was told to leave his erets. He was obviously not told to leave the planet but rather to leave his country. Genesis 41:56 describes the famine as being over all the face of the erets, which could be translated “land,” “country,” or (entire) “earth.” Obviously, the famine did not literally cover the entire earth. Again, in Exodus 10:5, 15, we are told the locusts covered the surface of the erets. Translating erets as “earth” here would not make sense. We see once again, as with the Hebrew word Yom, that the small and limited vocabulary of the Hebrew language requires that many Hebrew words have multiple meanings, with the actual meaning determined by the context. A final helpful comparison to obtain a proper interpretation of Genesis 7:19 involves Deuteronomy 2:25, which talks about all the nations “under the heavens” being fearful of the Israelites. Obviously, all nations “under the heavens” was not intended to mean all on planet Earth. In Genesis 1–9, the only geographical references are to the region of Mesopotamia. If the ancestors of Noah had elected to stay in this general region rather than spread throughout the earth as God had commanded, then God’s judgment would require only a flood in this region, and this appears to have been the case. If the entire Mesopotamian valley was flooded and the water receded slowly, then Noah might have seen only water, with distant mountain ranges being over the horizon. God’s use of wind in Genesis 8:1 to cause the flood to subside would be reasonable for a local flooding of this huge valley. It would not make sense for a flood that left water to a depth of thirty thousand feet, sufficient to cover Mount Everest. Genesis 8:4 indicates that the ark came to rest on the hills or mountains of Ararat, not specifically Mount Ararat, which is seventeen thousand feet tall. This complex mountain range extends north and east of Mount Ararat down to the foothills skirting the Mesopotamian plain. If the ark had landed near the top of Mount Ararat, it is difficult to imagine how Noah and his family as well as the animals would have been able to descend to the base of the mountain, given the considerable difficulty mountain climbers have today attempting to reach the locations where the ark is thought (I believe, incorrectly) to have landed. Further evidence for a local flood is found in Genesis 8:5, where it is noted that the water receded until the tenth month when the tops of mountains (or hills) became visible for the first time. The reference here seems to be what Noah could see, not the entire world. In Genesis 8:11, the dove returns with an olive leaf. Since olive trees don’t grow at higher elevations, a flood that covered all the mountains would not give this type of evidence of receding. One can estimate the total amount of water that would be needed to cover all the mountains on the face of the earth and compare this to the total water reserves that we know of on planet Earth, both in lakes and oceans and in subterranean aquifers. A flood that covered all the mountains on earth would require 4.5 times the total water resources that exist on planet Earth. Furthermore, such a worldwide flood would be pointless if the descendants of Adam lived only in the region of Mesopotamia. Some time after the Ice Age and before the rise of the great dynasties, a great flood caused by either a close approach of some heavenly body, or by the movement of the continents, or both swept from the Atlantic, the Mediterranean, and the Indian Oceans over much of Europe and Asia. During this period Paleolithic man disappeared, the entire climate of Siberia was radically changed, herds of mammoths were completely eliminated, some being apparently almost instantaneously frozen to death by unprecedented cold, and the sabre-tooth tiger, the woolly rhinoceros and a hundred million other creatures perished. Herds of animals in Europe and Western Asia were trapped by rising water and many were dashed to pieces, their bones being swept into great cracks, which had appeared in the earth. Lesser risings and fallings of certain local areas have continued, giving rise to raised beaches, shifting levels of fens in England, or various flood levels in Mesopotamia, but these are obviously small compared with the event which drowned a hundred million animals and exterminated an ancient race of men. The great oceanic tide, accompanied in the Middle East by torrential rain, and in Siberia by intensely frozen snow, capable of floating and indeed of driving a 10,000 ton wooden barge, probably from Mesopotamia to the regions of the mountains (or hills) of Ararat … that Flood which Genesis describes so minutely, was surely unique in history, and, by the promise of God was not to be repeated—and in fact, never has been. It should be noted that Filby’s account, which was completed before 1970, would place the flood between four thousand and ten thousand years ago, but after the last ice age. Hugh Ross’s more recent treatment of this topic would place it somewhat earlier, with humans bridging the Bering Sea to populate North and South America about eleven thousand years ago, before the ice melted and the sea levels rose. This would put Noah’s flood between probably ten thousand and twenty thousand years ago. So Walter Bradley argues that a local flood is supported by both the Biblical account and scientific evidence. A young earth creationist is more likely to believe Noah’s Flood was global, while an old earth creationist (e.g. Hugh Ross, whom he references) is more willing to believe Noah’s Flood was local. I believe the flood of Noah was universal but not global. By universal, I mean that the entire human race and all of the nephesh (soulish) animals associated with humans were wiped out by the flood except for those humans and animals that were on board Noah’s ark. Hugh Ross also has chapter 18, “The Flood: Global or Local? Genesis 7-8,” in his book, The Genesis question: scientific advances and the accuracy of Genesis. This is an extensive chapter from page 145 to 161. It is doubtful that you will find any wording which would be indicative of a local flood or hints thereof. This however does not mean that local flooding is not what occurred. What you need to remember is that the ancient middle-eastern view of "the whole world" was very limited. It is not as if these people visited, knew about, or even had legends of north and south America for example. So if these continents never flooded, would they have ever known? This image is particularly helpful when considering the imagery used in the flood account in Genesis 7:11 when the author says "the fountains of the great deep burst open, and the floodgates of the sky were opened." To me, this evokes imagery similar to that which was seen in the Tsunami in Japan. Videos I watch this and think that this certainly looks like water is bubbling up from fountains of the deep. Furthermore, a Tsunami is certainly capable of generating this kind of devastation. For example, in 365 AD in Alexandria, there was a tsunami that deposited boats over two miles inland. In 1607, in Bristol Channel, England there was a tsunami which flooded over 200 square miles of land. This could certainly seem like the whole earth. The fact of the matter is that science indicates that even if the ice caps melted completely, sea levels would only rise about 200 feet - not enough to cover the whole earth. This means that a bunch of water would have to have come from somewhere and have disappeared to somewhere without leaving any evidence of this activity. God is God and he certainly could do this, the question is would he create a flood and then leave no archaeological and paleontologist evidence of this behind? It is also important to remember that The Bible is not a science text book and it was not written with the goal of journalistic accuracy. It is a narrative written with the goal of theological accuracy. Should the flood have been a local one, the writer of Genesis most certainly believed it was a global one. We should therefore read this story not for what it tells us about archaeology and paleontology, but for what it tells us about Yahewh and His relationship to His people - in this regard it will always be 100% true, accurate, inerrant and infallible. In this vein, even if the original event was a local flood, it is entirely possible that the details were exaggerated in order to bring glory to God. He is certainly powerful enough and worthy enough to be worshiped in this way and giving him this glory and honor is in no way lying or inaccurate. This flooding doesn't have to be either/or. It can be both/and. Not the answer you're looking for? Browse other questions tagged genesis hebrew noah linguistics flood or ask your own question. When the Bible says “the world”, does that only include Eurasia and Africa? Was Noah absolutely blameless or relatively good? What is the purpose of the phrase “all swarming creatures that swarm on the earth” in Genesis 7:21? Are the three distinctive Hebrew terms, translated “breath of life,” suggesting there was a different mankind at creation than there was at the flood? How did Nephilim reappear after the flood? In Genesis 9:15 what does the covenant promise about floods? Which water is Peter referring to in 2 Peter 3:5-7?